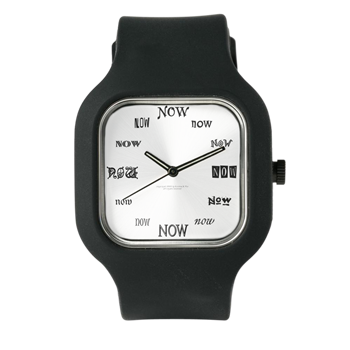 What an effective slogan to advertise a watch (the Swiss “Swatch”) and what a truly freeing concept introduced into our collective consciousness. Many who believe in conscious creation and related topics often pity themselves for the lack of like-minded in their immediate environment. To those I wish to express that opening your eyes & ears and playfully expecting to come across “evidence” of shifting truths, you shall find plenty: songs, TV commercials, in the grocery store out of your cashier’s mouths you will hear amazing things, maybe they are not always fully conscious of it but that shouldn’t prevent YOU from doing so, celebrate the expression of oneness and creatorhood whenever and wherever you perceive it. It’s the old “is the glas half-empty or half-full” question, it all lies in the eye of the beholder: YOU. We have all become familiar with Einstein’s revolutionary idea that time is relative, and for most of us it’s an interesting concept, something that can be proofed scientifically, yes, so, it must be true but have you ever applied it to your own life? Many of us have experienced it. An hour in your dentist’s office drags on endlessly whereas the same amount of time spent making love can seem like a short instance. Situations and circumstances seem to influence the perceived length of a specific period, as do our emotions and thoughts. A week of vacation can seem much shorter than one boring day at work. It is amazing (some might call it scary!) how many stress-related diseases we as a society have developed over the last decade. Those who have become slaves of their time-lines, aka dead-lines, often end up … well, as exactly that: dead. I understand how mind-shattering it feels to question a fact such as time, some industries would not be able to continue; who needs cosmetic surgery when there is no more aging? Who needs clocks and watches? Funeral homes? Yes, with the acceptance of “no-time” we embrace immortality. Many of us do believe that we are eternal, our essence (spirit, whatever-you-call-it), that is. What about our physical bodies? There is still a wide-spread notion of inferiority about them, “they eventually expire … but … the soul lives on.” Just because we have made it a time-old ;o) custom to age and die, it is NOT an unshakeable fact. In Oriental Medicine we encounter the lifeforce CHI (Ki), this subtle energy is present in every thing and is thought of flowing along specific pathways called meridians. If there are obstructions and Chi gets blocked, this eventually will lead to death. I fully subscribe to that philosophy and I take it a step further, WE are Chi, the lifeforce. What we perceive as solid physical bodies or objects really is light/energy vibrating V E R Y slowly. Ever heard of “ascending” (as in “Ascended Masters”)? All that means is remembering how to alter your own frequency to the point of “evaporizing into thin air” (which is the same thing you want to do when (de)materializing). So, when “it’s time” to disengage from this earthly focus (when you are ready to die), rather than going into separation (your soul/essence disconnects from your physical body) you can fuse the two by raising your frequency, or, as a dear friend calls it: melting your heart into the universe. Time is what you make of it, you can either be constantly running out of it, running late, wasting it, or, having a good time, expanding and contracting it as you please, and believe that THERE IS NO TIME. Then you are free to re-invent yourself anew in every NOW moment, not bound to any particular past or future, except maybe emotionally; but then realize that healing (balancing your emotions) always is instantaneous, free yourself from the time-frame you have imposed on getting over something – IF it bothers you; otherwise just enjoy every second (LOL) of the time it takes. :o) How do you free yourself? Focus your thoughts around what you WANT and let go of what it SEEMS TO BE right now. Spend a day without your watch. If you already good at that, you can experiment with staying up longer without automatically feeling tired the next day (just make up your mind, cut the consequential tie between those 2 experiences). I wish you all a splendid time :o) playing around with the concepts presented in this article! (c)2000, Mia Pokorny. Published in the August-September 2000 issue of the online Conscious Creation Journal. http://www.consciouscreation.com Feel free to copy this article for personal use – please include this copyright notice.